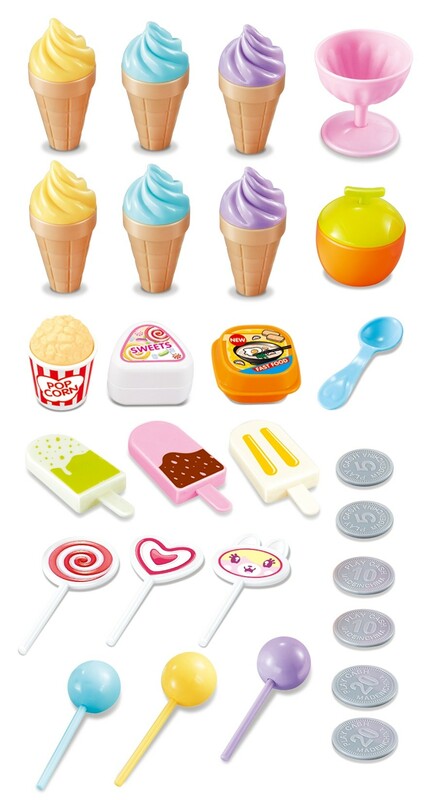 Master Box Dimension : 21" X 15" X 23"
Create a brand new luxurious ice cream cart with this amazing 39 piece playset! 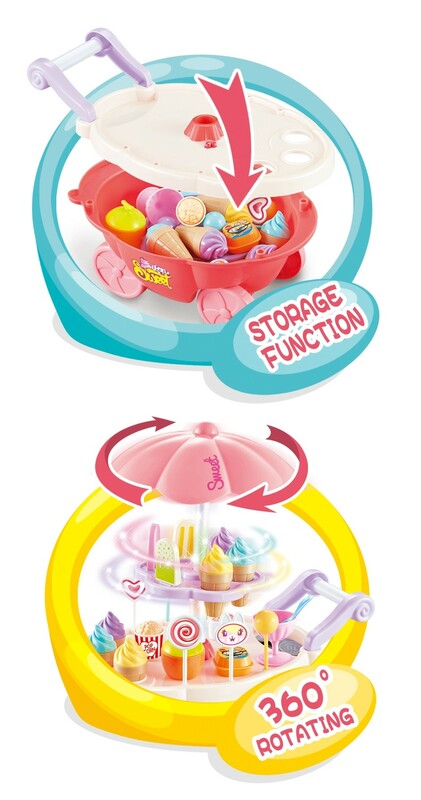 This playset has various different pieces of sweets ranging from ice cream to lollipops to cupcakes! 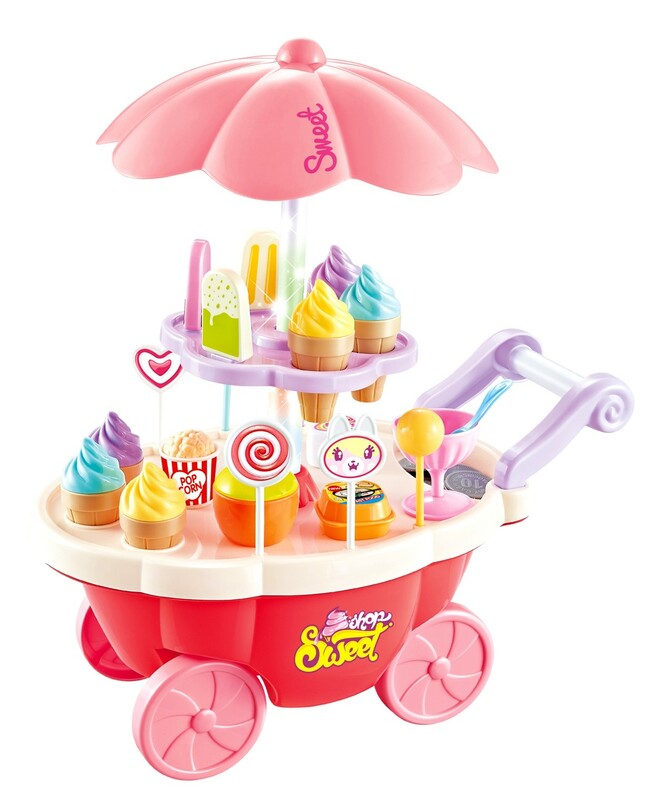 Anything sweet will be on this cart! Easily assemble and extremely durable! This ice cream cart will make you a fortune!